how we'd redecorate ellie kemper's new UWS apartment. Unbreakable Kimmy Schmidt star Ellie Kemper just nabbed an elegant, pre-war co-op in NYC’s Upper West Side and a redesign is obviously in order! We took a peek inside the dreamy, three-bedroom apartment, and did a little (hypothetical) redesign of our own. Take a peek! As much as well love a good country chic aesthetic, this dated arrangement isn’t quite working for us. A deep teal wall paint sets the backdrop in this refreshingly eclectic dining room, decked with a handful of visually defined accents. 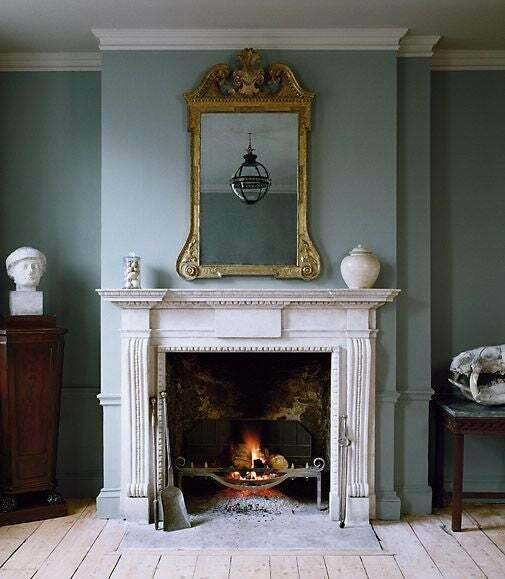 We’ll be honest – that wall paint is not the most flattering, especially when paired with the marble surround of the fireplace. A new frame for the fireplace evokes a more classic element to the decor, paired with a soothing wall paint and a statement mirror with a gilded brass finish. Standardized bedroom sets are a thing of the past and certainly don’t belong in this light-filled space. We’re all for taking a Scandi-chic approach to the decor of this dreamy bedroom, furnished with minimalism in mind. The ceramic tiles of this compact bath are in desperate need of a refresh, along with the dull lighting. Goodbye tub, and hello marble shower with the chicest brass fixtures. We’re in love. So long ’90s-esque kitchen of an antiquated feel. Now this, is our idea of a kitchen nook We can just picture ourselves here every morning. Last but not least, the spacious foyer, whose true potential lies within its broad square footage and classic frame. A monochrome revamp featuring fearless pops of color and streamlined accents.